Why I am the perfect photographer for every family! I don’t mean to toot my own horn or anything (well, actually I do), but I am pretty sure I am the perfect photographer for any family. I mean, picking a family photographer is so hard, right? You have to consider their work, word of mouth, your budget. How often are you meeting with your photographer before the session to see if you guys will hit it off as friends? Being able to connect with my clients is important, but it becomes even more important when you factor in the sheer amount of time we will be spending together. We are going to hang out and get to know each other before we even decide on a session, then spend half or a full day together during your session, then hang out more to look at all your fabulous images. I mean, we could become besties with all that time spent together. I am going to see you and your family in special moments when your guard is down. There will be times you will want to yell bad words at your children, and you need to be comfortable with me being there to do that! Look, I live my life in my pj’s, own ONE pair of jeans and take a shower every other day if I am lucky. I am a stay at home mom that struggles with all of the things that come with that, plus I homeschool. I will not judge you if your house has dirt on the floor, piles of laundry or clutter because you just haven’t had time to get to it, and you feel like a hot mess. I also will not judge (but will be jealous), if your house is spotless because that is what brings you inner peace. I won’t judge if you cuss at your kids or if you have never said a cuss word in your life. I won’t judge if you order pizza from the cheap place or cook an organic 5-course meal. Look you do you, let your family be themselves and I will just photograph it. If the kids normally jump off the balcony into the pool, please for the love of god let them do it (and mem photograph it)! You are a parent, and with parenting comes chaos. It goes together like Sonny and Cher, meat and potatoes, rainbows and kittens. You just can’t be one without the other. I am a parent, I understand this phenomenon. Your schedule will be hard because you are a parent. You have a hard time with one stream of thought because you are a parent. Making a decision can be hard because you are a parent. I got your back, don’t worry. I am there to help you through each step of the really easy process, including what images to put on your walls. When parents get together they talk about parent life. I am a talker, so naturally, I am happy to chat with you about just how hard parenting is. How we cloth diapered one kid and realized it was a lot of work for the second. How long term breastfeeding is awesome, but also really hard and not for everyone. How homeschooling is great but not sure if it’s a long term goal or not. We will just chat as parents do about parent life, about Florida, about beer. Our lives as parents are one big stress ball that we just want to squeeze the everliving crap out of. Hiring a photographer and having a family photo session should not add to this stress. You shouldn’t have to worry about what to wear, what location for your photos, having your husband act like he likes having his photo taken. Sessions with me are about as stress-free as you can get. We set a date, you don’t do any prep work, I show up, you and your family go about their normal lives, I take real life images showing just how wonderful your life is and done. It really is that simple. We don’t have to have a game plan. There doesn’t have to be planned activities. We don’t have to do anything. If you guys break out the slip and slide plus the dawn, awesome. If you decide to bake cookies, awesome, I love chocolate chip and oatmeal raisin. If you just hang out and scroll facebook on your phone, that is ok too. Here is the thing, while I know we will be besties, I also know that the way I photograph real life is not for everyone, for every photo sessions, or for all things. I love the fact that my photography is unique, different, out of the normal. I totally understand that some years you want super pretty windblown images of your family on the beach all getting along. That you want to put an image on the wall that shows everyone smiling and hugging each other even though you threatened them all within an inch of their life to get that image. It is ok to ask someone else to do your posed family photos if that is what you really want. 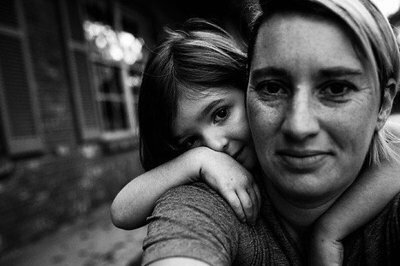 What documentary photography does do is capture real emotions, real love, real tears, real hugs. Some of those moments might be sad, some happy, some full of anger, many full of joy. Those images will be art for your walls, full of dimension and richness. More than just a pretty picture on a beach, they will be real life memories of your life at this moment frozen in time and hey, if you wanna go hang at the beach and play with the kids, that’s cool too. Real life, documentary family photographs are the chaos and quiet moments, plus everything in between. Think you are ready to put art on your walls that have your family in it, not some random strangers? Let’s chat, make a plan, and start that new friendship!